IN OBSERVANCE of World Water Day, Senator Loren Legarda expressed support for the global call to ensure availability and the sustainable management of water to provide for current consumption and conserve for future generations. Legarda said that this year’s celebration carries the theme “Leaving No One Behind,” which recognizes the human right entitling everyone, without discrimination, to sufficient, safe, acceptable, accessible, and affordable water for personal and domestic use. “Having safe water means we secure public health. 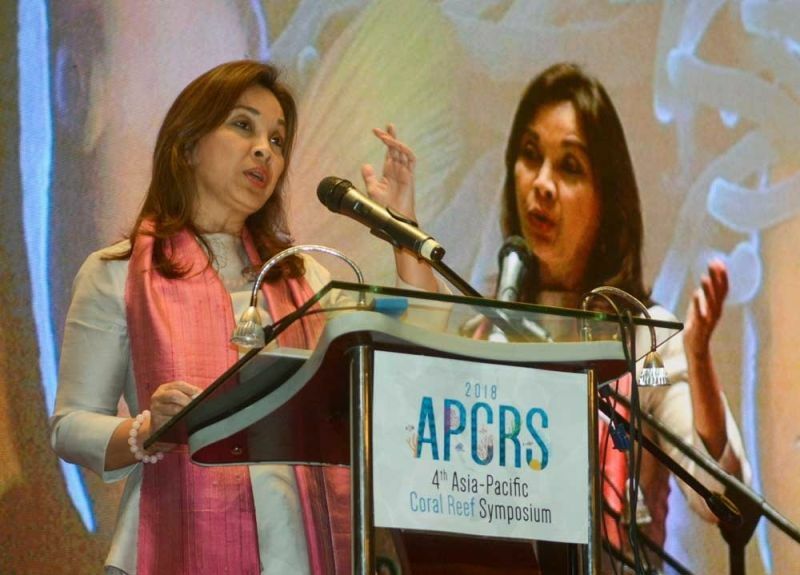 With people dying due to unsafe water and poor sanitation, as well as being displaced or forced to relocate in areas with safe water, we must ensure we afford every human being their basic right to access safe water,” Legarda said. In the light of the water supply shortage in Metro Manila, the senator said that authorities must take necessary measures to adapt to climate change impacts, such as increasing temperatures, sea level rise, and changes in rainfall pattern, which could further intensify the effects of El Niño and jeopardize the long-term water supply in the country. She also reiterated the call for households, offices, businesses, and industries to use water more wisely and recycle used water, as we are already experiencing weak El Niño conditions wherein rainfall is below normal or scarce. Legarda said PAGASA confirmed that 2019 is set to be the warmest year on record due to El Niño, which could affect provinces with dry condition (two consecutive months of below normal rainfall conditions or 21-60% reduction), dry spell (three consecutive months of below normal or two consecutive months of way below normal rainfall conditions or more than 60% reduction), and drought (three consecutive months of way below normal or five consecutive months of below normal rainfall conditions), from March until June this year.